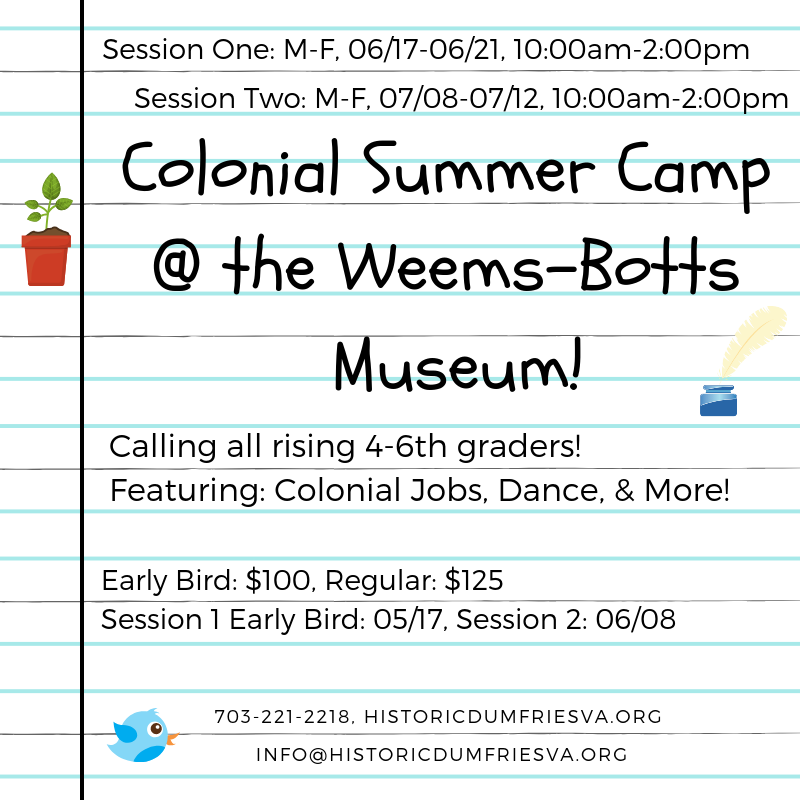 Presented By: Historic Dumfries Virginia, Inc.
Colonial Camp is a week-long summer day camp (Monday-Friday, 10:00am-2:00pm) for rising 4th-6th graders. 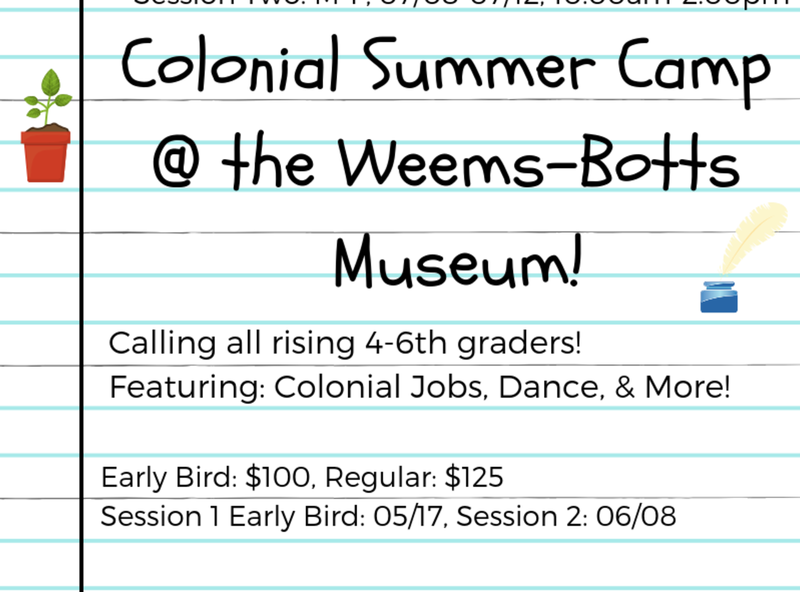 Children learn about colonial history and life through fun hands-on activities and crafts, encouraging their skills as mapmakers and surveyors, identifying and charting important crops, and drying out vegetables and fruit! And games – we cannot forget games after such hard work! Lunch not included. Pre-registration required. Early bird registration: $100; Regular registration: $125. Scholarships available, contact us for more info.